The fate of the North American Free Trade Agreement (Nafta) became uncertain when the US and Canada failed to come to a consensus on rewriting the three-nation trade pact. "We know a win-win-win agreement is within reach and that's what we're working towards," said Canadian Minister of Foreign Affairs Chrystia Freeland at a press conference on Friday. The US Trade Representative's office said talks with Canada would continue on Wednesday and that President Donald Trump has formally notified Congress of the trade deal he struck with Mexico earlier this week, reports CNN. "Today the President notified the Congress of his intent to sign a trade agreement with Mexico -- and Canada, if it is willing -- 90 days from now. The agreement is the most advanced and high-standard trade agreement in the world," the statement said. Talks came to a head on Friday as officials rushed to beat a US-imposed deadline that would allow them to sign the deal before Mexico's president-elect, Andres Manuel Lopez Obrador, takes office on December 1. The US and Mexico announced a preliminary bilateral deal earlier this week after resolving an issue over auto manufacturing. Canadian officials rejoined the talks this week. 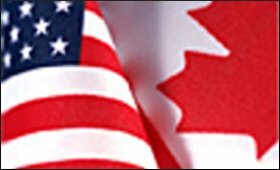 Officials from both the US and Canadian negotiating teams confirmed on Friday that they will continue working towards a trilateral deal, and that good progress has been made over the past year at revamping the 24-year-old trade deal. "The government of Canada will not sign an agreement unless it's good for Canada and good for Canadians," Freeland said Friday. At issue is Canadian concessions on agriculture. Trump has said he wants Canada to end its steep tariffs on US dairy products, claiming they hurt US farmers. Canadian Prime Minister Justin Trudeau has pledged to protect his country's dairy industry. The White House must give Congress an official 90-day notice before entering into a new trade deal. Since administration notified Congress on Friday, Trump will be allowed to sign the deal by November 30, reports CNN. Even then, Congress could still block the deal. It's unlikely any rewrite of NAFTA would come up for a vote until 2019. The text of the agreement does not have to be submitted to Congress until September 30. The governments of Canada and Mexico must also ratify the agreement and if they don't, then there's no deal.